The folks who brought us the 3-film series Incredible Creatures That Defy Evolution are back, and with a fun new twist on the incredible design we can find in God's creation. This time they are looking into the field of biomimicry – this involves engineers applying the innovations and creativity they find in the natural world to help them solve challenges they face in the civilized world. So, for example, a fan manufacturer looking to make a more powerful, but quieter, model decided to look into the way that an owl can travel quickly but silently through the air. The closer they looked at the design of its wings, the more they found there was to learn and imitate! and the strange way that butterflies can give off such beautiful colors even though some have no pigment in their wings. In one instance after another, even as engineers use Nature as their inspiration, they're forced to admit that their best efforts can't match the genius they find there. Unlike the Incredible Creations The Defy Evolution series, in this film God is never given the credit that is His due. Instead, this is more like an Intelligent Design presentation, in which the genius found in creation is celebrated, without any specific mention made of Who that Genius is. The only other caution concerns a scene in the section on mussel glue. Here we see a brief enactment of a man having a heart attack at a restaurant. He then presumably receives care using glue, rather than stitches. It's not all that shocking, but more so than anything else in the film, and might alarm some small children. This is one for that will most intrigue the science geeks among us. I think families with older kids – maybe 12 and up – could enjoy this together, particularly if they have watched documentaries together before. But it does require some knowledge to fully appreciate what's being explained – younger children simply won't know enough about aerodynamics, or about how loud fans can be, or what pigmentation is, to really appreciate how "Nature" – God! – has done it all so much better than even our best and brightest can do (even after being given an example to imitate). You can watch the trailer below, and view it for free on Amazon Prime. 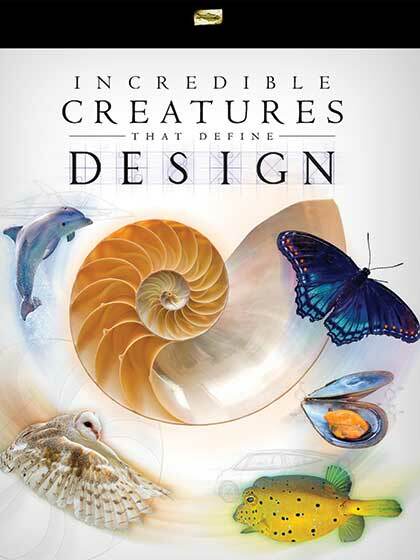 Incredible Creatures That DEFINE Design - Trailer from Exploration Films on Vimeo.